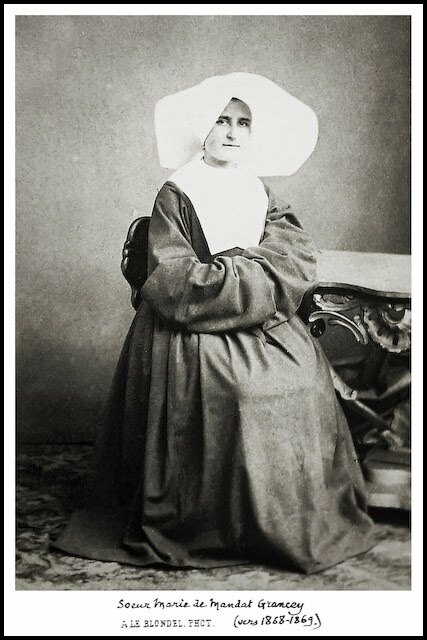 On July 29, 1891, two Vincentian priests, French Fathers Henry Jung and Eugène Poulin, gave in to the insistent requests of Sister Marie de Mandat-Grancey, superior of the Daughters of Charity who worked in the French hospital of Izmir. The priests set out to look for Mary’s house, having as their compass the vision of German mystic Blessed Anna Katharina Emmerick (1774-1824). From her bed in a village of Westphalia, where she spent the last 12 years of her life, the mystic received visions of the life of Jesus and Mary. These visions were recorded and published after her death by German writer Clemens Brentano. The two priests, former soldiers of the French army, climbed the Bulbul Dag (“nightingale’s hill” in Turkish), which rises above the Ephesus plain. After much effort, they found the ruins of a house near a fountain, a few kilometers from Ephesus. The house seemed to have been used as a chapel — which fit perfectly with Emmerick’s description. It was the “Panaya uc Kapoulou Monastiri,” as the Orthodox Christians of the area called it — the “Monastery of the Three Doors of Panaya, the All Holy,” given the three arches of the facade. These Greek Christians used to go to the site on pilgrimage during the octave of the feast of Mary’s Dormition, Aug. 15. The Vincentian priests did some research among the residents of the area and confirmed the existence of a centuries-old devotion which recognized in the ruined chapel the place of the last residence of “Meryem Anas,” Mother Mary. Archaeological studies carried out in 1898 and 1899 brought to light among the ruins the remains of a first-century house, as well as the ruins of a small village that was established around the house since the seventh century. Pope Leo XIII (1878-1903) was positive about these findings and re-established in the Ordo Romanus a note that on the feast of the Assumption mentioned Ephesus as the probable place of the Blessed Virgin’s dormition. The Meryem Ana shrine, in front of which Benedict XVI celebrated Mass in 2006, was restored in the 1950s. Pastoral care of the site has been entrusted to the Capuchin friars. Mary’s House was visited by Pope Paul VI in 1967 and by Pope John Paul II in 1979.